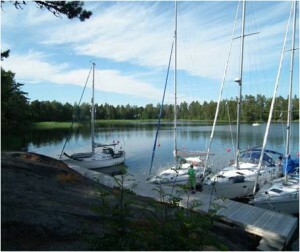 105 Rocks - Bockhamn - natural harbour - Sail in Finland! 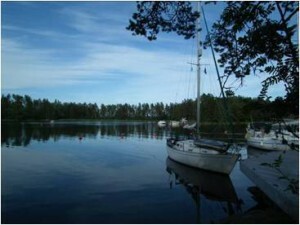 Bockhamn is a wee, free, nature reserve quay, with stern buoys, in a beautifully sheltered round bay. The entrance is another narrow one that you’d hardly notice on the way past, but it’s plenty deep enough for large yachts. 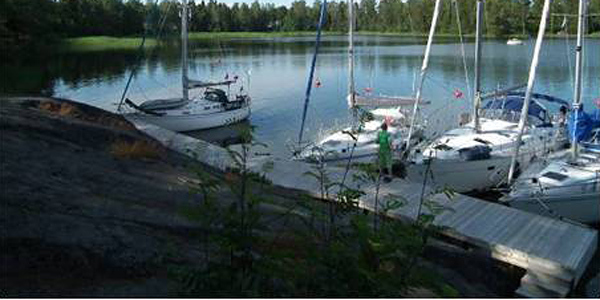 In common with most places I visited to the east of Helsinki it wasn’t very busy, even by the second week in July. 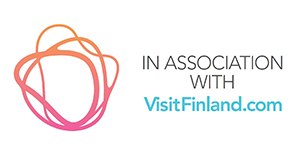 There’s good cruising grounds east of Helsinki, but most of the traffic from the capital seems to head west to the Turku and Aland archies, leaving the eastern waters quieter. There’s a composting bog near the quay. If you don’t fancy the quay or it’s full there’s a couple of buoys in the middle you could probably pick up, or there’s room to anchor. There’s also stern buoys near the rocks. 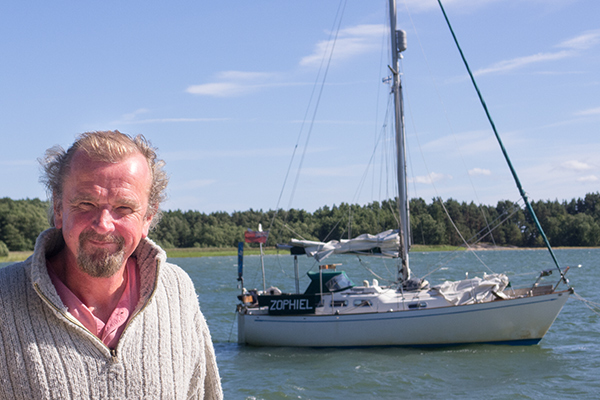 When I left Helsinki to come here – and more particularly when I left Bockhamn for Kaunissari (No. 103) – I was soon enveloped in thick fog. 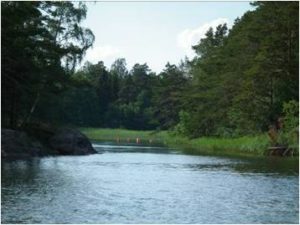 Your average Scandian will swear blind that any fog will clear in a matter of minutes – or at worst an hour or so. They are especially convinced about this if there’s a breeze blowing. Repeated experience suggests that this is mostly shite. On a number of occasions I was beset by a thick fog which lasted all day. In every case there was a south easterly blowing. It was obvious to me that this was a phenomenon similar to our east coast haar. Relatively warm, relatively damp air blows off hot, continental Europe and across the warmish, but relatively cold Baltic sea. The moisture condenses out and forms a fog which is constantly reinforced by the continued breeze. Since the locals are so bemused by this phenomenon perhaps it’s a rarity, but it happened to me on three separate occasions in 2012. 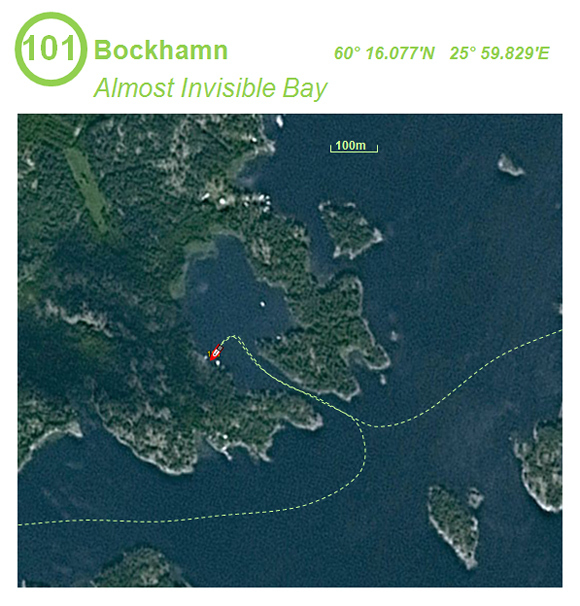 Locate Bockhamn on the map and find more adjacent harbours and marinas here.